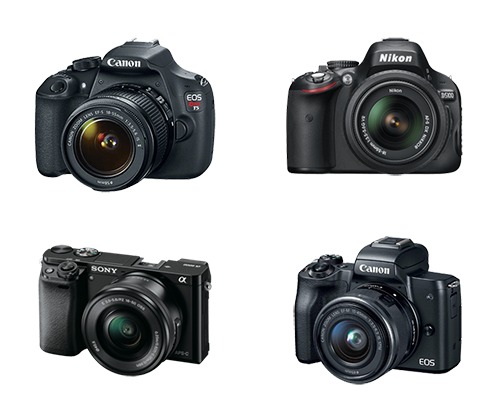 One of the most popular questions we get from entry-level photographers here at the BPW is “What camera should I buy?” If you’re in the market for a good starter camera for yourself, or even a special holiday gift for the photographer-in-training in your life, here are three of our 2017 favorites to help point you in the right direction! Whether you’re a food blogger, personal chef, or just want to tighten up your Instagram feed, if you’re reading this, chances are you have some interest in food photography. While you’ll learn essential techniques in the BPW’s Food Photography I and Food Photography II classes, here are some simple (and mostly cheap) tools that can help you take your at-home food photo skills from undercooked to perfectly done. As you begin your journey into photography, one of the first recommended items is a good tripod. In this article, we will briefly describe why a tripod is helpful, as well as share with you our favorite tripods for beginners.